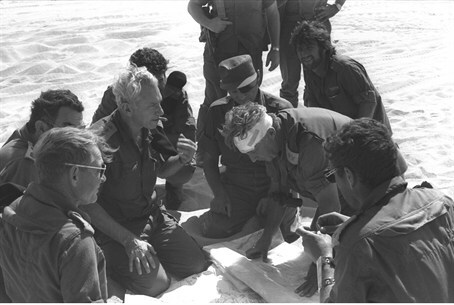 The IDF and Defense Ministry have revealed new protocols from the meetings of the Agranat Commission, the commission of inquiry set up to investigate failings in the Yom Kippur War. New testimony from then-Mossad head Tzvi Zamir, IDF Intelligence chief Eli Zeira, then-Defense Minister Moshe Dayan, and intelligence officer Menachem Digli has been made public. In his testimony, Zamir revealed that important information was withheld from then-Prime Minister Golda Meir in the days before the war. “There was a debate over whether this was war or a military exercise, and we didn’t want to give the Prime Minister an incomplete report,” he explained. At a later point, Zamir told the commission that some information that reached the Mossad’s hands was not passed on to all relevant government officials. “I admit and confess that I may have erred,” he said. Zamir also revealed that he did not participate in some assessments by Israel’s security apparatus, because the Mossad is under the oversight of the Prime Minister’s Office, and not the Defense Ministry. In addition, he told the commission that the position of Advisor to the Prime Minister on Intelligence Affairs was left unfilled just months before the war. Zeira told the commission that Israeli intelligence officials believed there would not be war. That belief was based on information from agents who were thought to be reliable, he said. He testified that he had thought that he could distinguish between a military exercise and the outbreak of war. However, he said, Egyptian leaders managed to fool even their own army, and 99% of Egyptian soldiers were unaware that they were marching to a real war until the last minute. There was one report, one week before the war, regarding an Egyptian plan to cross the Suez Canal. This report was not passed along to the Chief of Staff because it seemed illogical, he said. A similar report two days later was passed on, he added. He noted that there was no law regarding which reports should be passed on to the heads of the army, and Intelligence commanders were expected to use their judgment in each case. Digli, who worked in IDF Intelligence, told the commission that he had pushed Zeira to put a special intelligence system into use in the week before the war, but that Zeira authorized use of the system only the day before the war broke out. He told the commission that he had not been certain that war was on the horizon, but that he believed Israel was facing an unusual situation, and should use every means at its command to find out more.